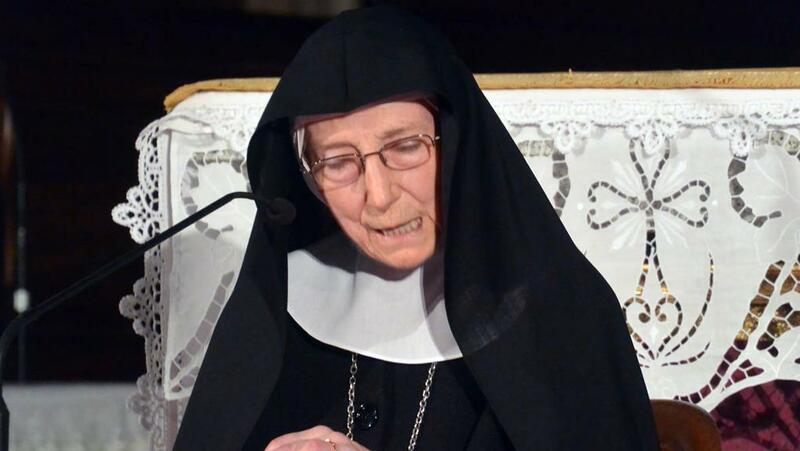 The Abbey of Mater Ecclesiae announced that Mother Anna Maria Cànopi died this morning, the first full day of spring and the Transitus of Our Holy Father Saint Benedict. In 1973, together with some nuns, she settled on the island of San Giulio to begin the Benedictine community of Mater Ecclesiae. A stellar abbess who gave great witness to the heart of St Benedict and the Benedictine charism, Mother was able to discern many vocations to Mater Ecclesiae. Mother Anna Maria was respected within Benedictine circles and in the Catholic Church. Commentators will note that Mother Anna Maria was woman of profound spirituality and great culture had a remarkable literary activity. She is the author of many works, particularly on Lectio Divina, but she is often remembered for her 1993 reflections for the Via Crucis at Rome’s Colosseum, written at the request of St. John Paul II. Why do we need to know about the transitus of the Italian abbess? Mother Anna Maria is an example to the Oblate and professed nun and monk to be faithful to one’s humanity, to attend to good culture and to practice Lectio Divina: to really know and love the Lord of Life. May Our Lady with the angels and saints intercede for Mother Anna Maria.